I searched the google for this information, but I could not find anything helpful. 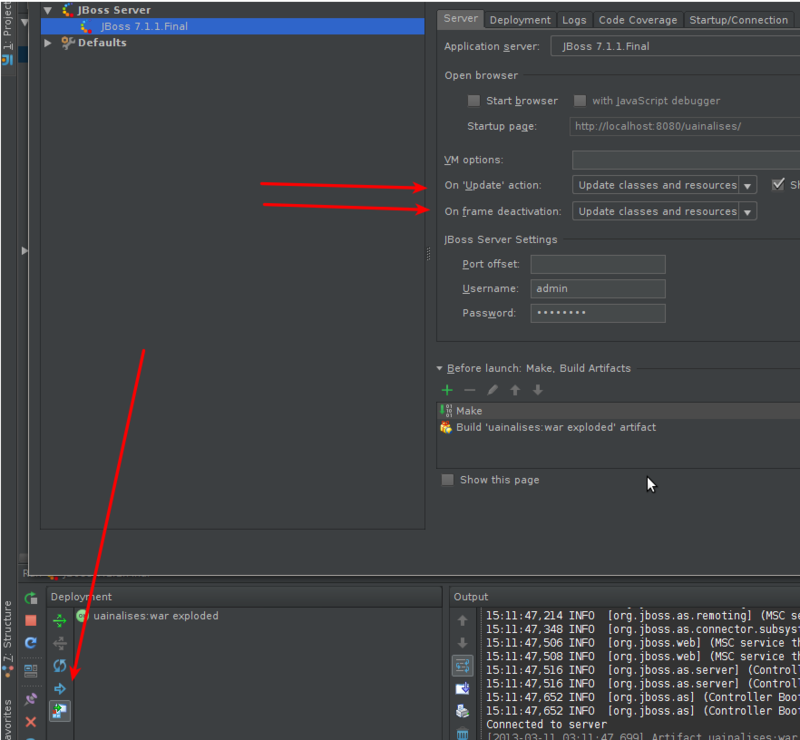 Without JRebel it is possible to do hotdeploy (just jsp it would be good) with JBoss 7, Maven and Intellij? I already selected the 'On Frame Deactivation' option and the button that appears in the console with the text 'On Frame Deactivation' is checked. Should I post in other forum or subject? No, this forum is a right place for such questions. Asked our servers guy to have a look here. Sorry, specifically this version of JBoss (7.1.1) does not support hot deploy for JSP, there is nothing IDEA can do about it. It had been discussed at http://devnet.jetbrains.com/message/5473718#5473718, with the link to the original JBoss issue.